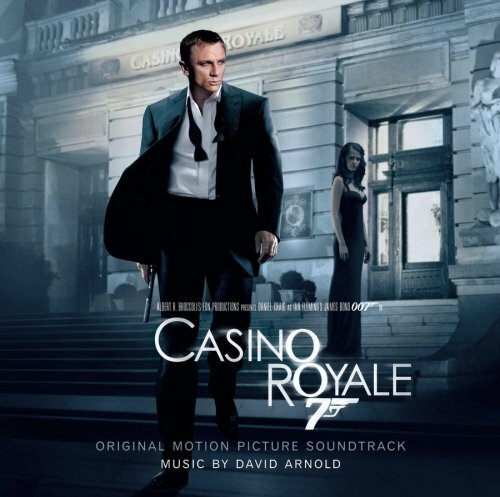 The first image on the page is for James Bond - OST - Casino Royale (Original Motion Picture Soundtrack), followed by the original. Also check out the most recent parody covers submitted to the site. Give it a rest already with the overuse of pot theme! How many people have wasted their lives over a weed? How many generations of welfare under one roof smoking pot either watching television or playing video games while society pays for your unproductive lifestyle and babymaking brood? To Critic - Speaking of unproductive, when was the last time you created something. Lets' get to the heart of your phony outrage; After reading a few of your comments, it's obvious the reason that you are "Critic" is that - you're driven to criticize, because you cannot do. Criticism from a pothead loser? Not impressed. Get a real job, put in 8-10 hrs a day, pay taxes, and vote. Like skunk bud, this cover parody still stinks! Woah, gentlemen! For the record: I do not use pot (It's legal here), and I have no plans to start using it. However - I do have a sense of humor (it's legal here also), and I do plan to continue using it.